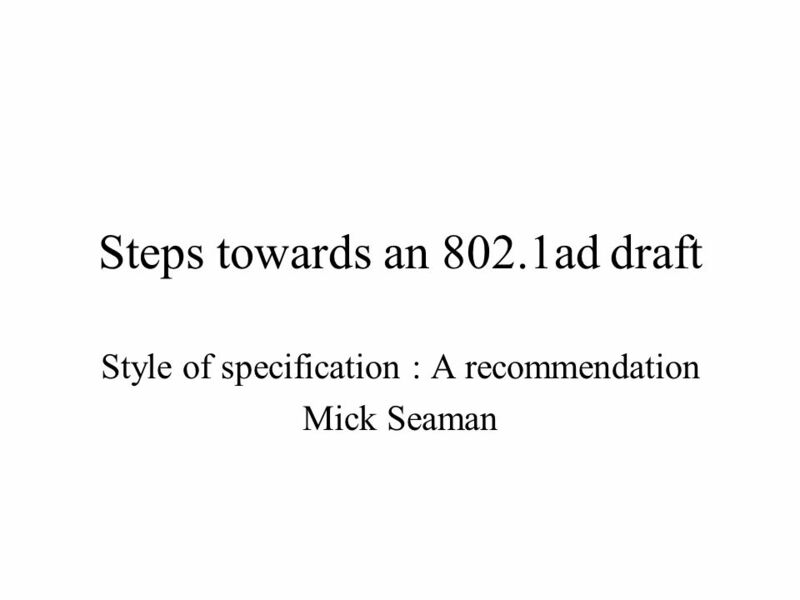 Steps towards an 802.1ad draft Style of specification : A recommendation Mick Seaman. 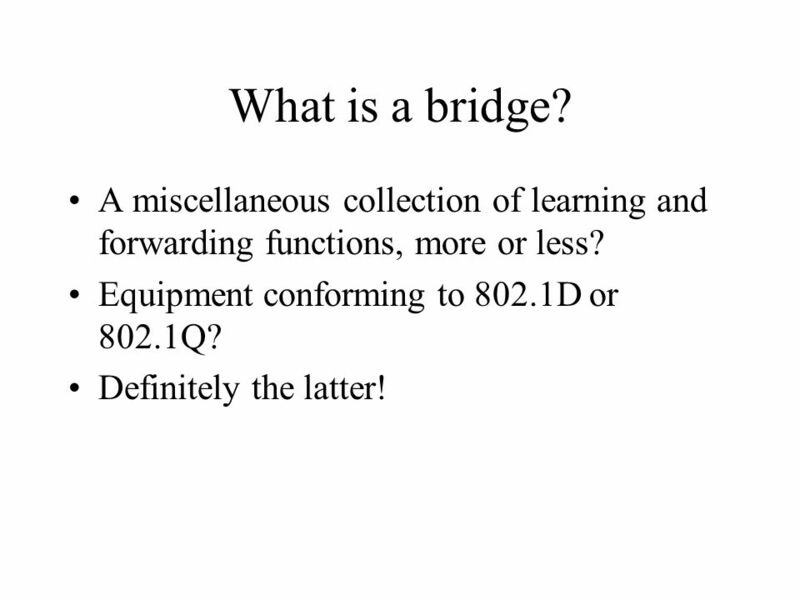 2 What is a bridge? A miscellaneous collection of learning and forwarding functions, more or less? 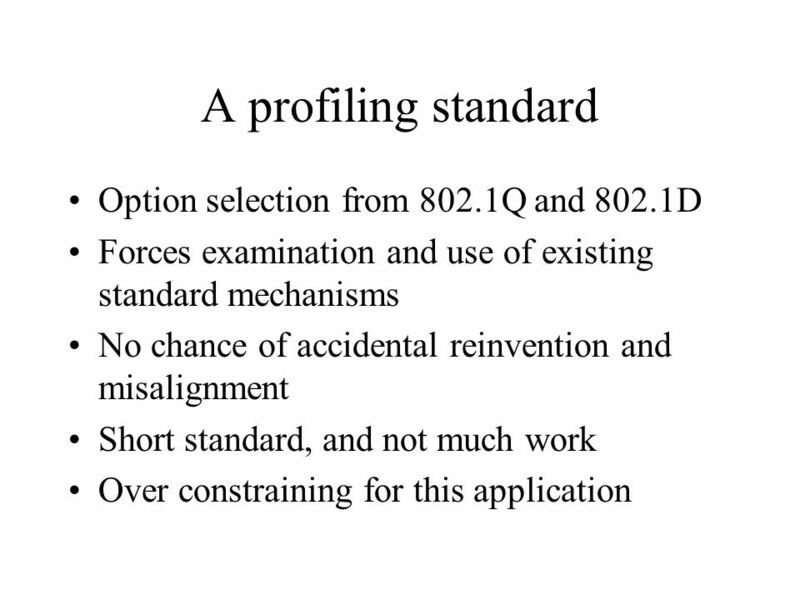 Equipment conforming to 802.1D or 802.1Q? Definitely the latter! 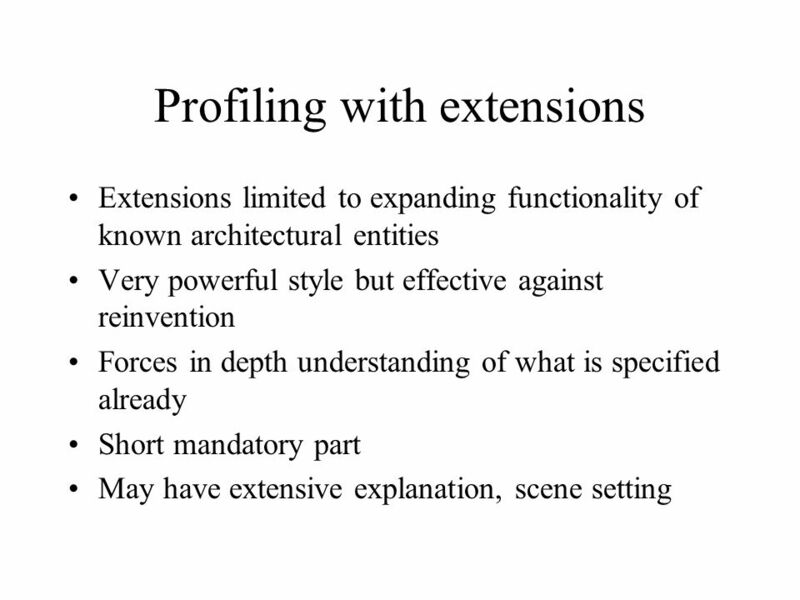 Download ppt "Steps towards an 802.1ad draft Style of specification : A recommendation Mick Seaman." Doc. : IEEE /087 Submission May, 2000 Steven Gray, NOKIA Jyri Rinnemaa, Jouni Mikkonen Nokia Slide 1. 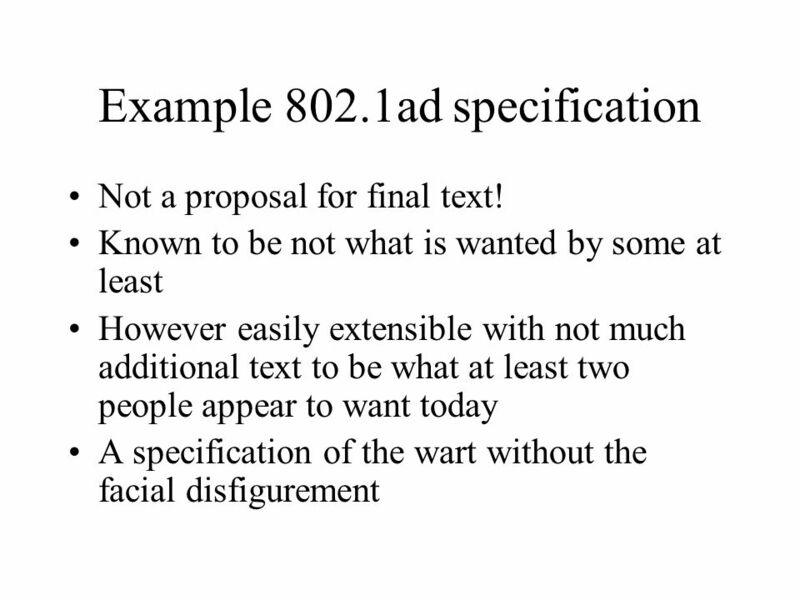 28-May Interim - Geneva 802.1AB-Rev Proposal for Device Specific Location Delivery over Wireless LAN. 1 2/20/03 Link Security Scenarios Ali Abaye Charles Cook Norm Finn Russ Housley Marcus Leech Mahalingam Mani Bob Moskowitz Dave Nelson Antti Pietilainen. 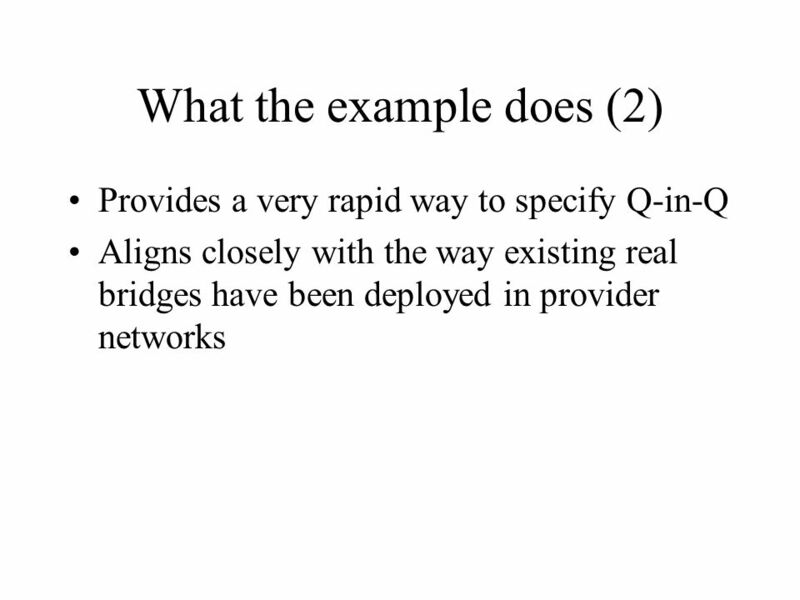 802.1aj terminology for link status propagation John Messenger, November 2007. 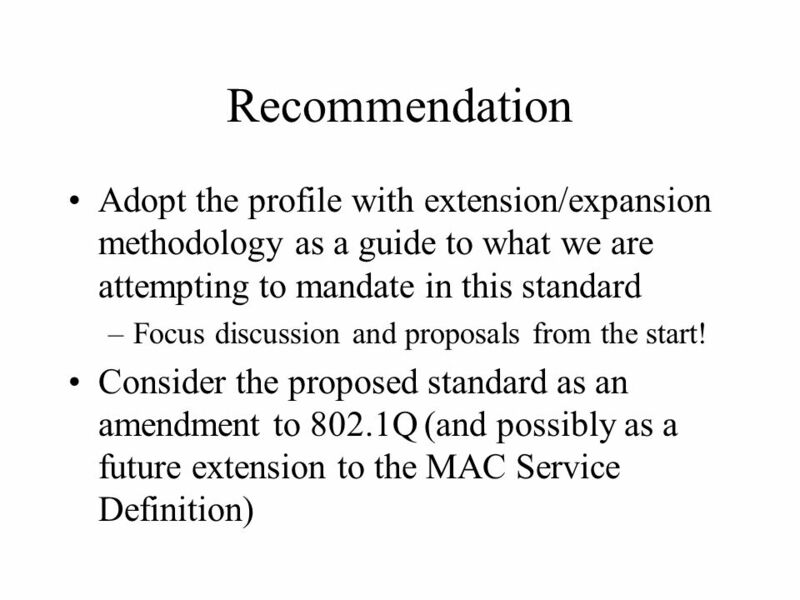 ECMP for 802.1Qxx Proposal for PAR and 5 Criteria Version 2 16 people from ECMP ad-hoc committee. 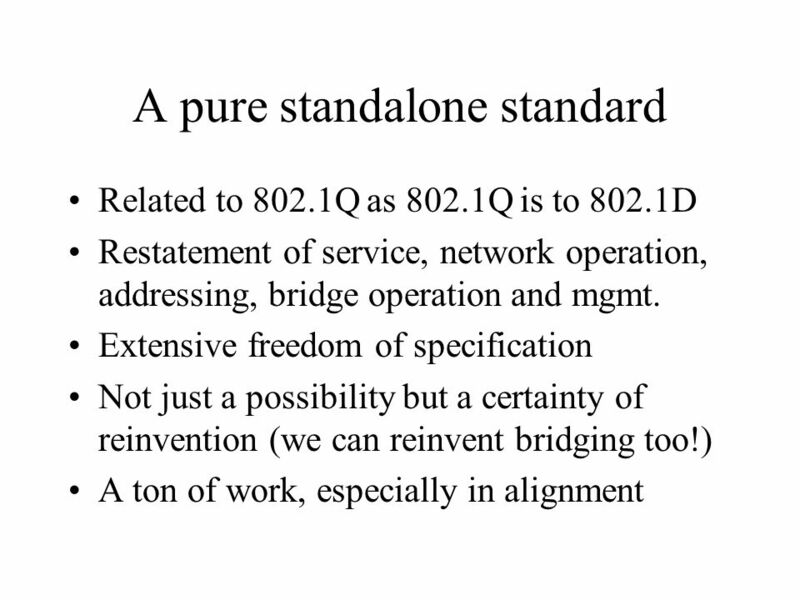 Requirements for 802.1AD Provider Bridges June 2003 Muneyoshi Suzuki NTT. Fujitsu Laboratories of Europe © 2004 What is a (Grid) Resource? Dr. David Snelling Fujitsu Laboratories of Europe W3C TAG - Edinburgh September 20, 2005. 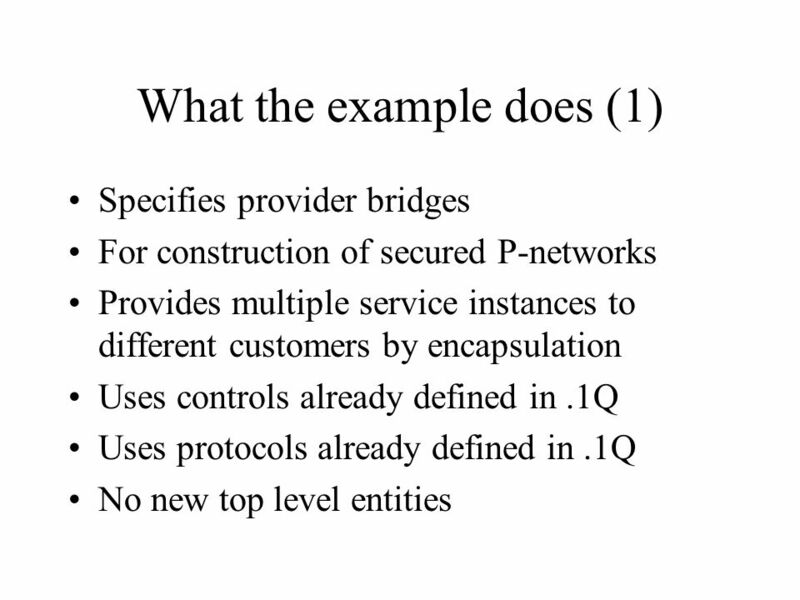 Extended Service Set (ESS) Mesh Network Daniela Maniezzo. Mobile Application Architecture Initiative Steve Wheat Chief IT Architect.